Reloading your own metallic cartridges brings many advantages, from saving money to creating the most accurate ammunition for your rifle. However, without proper instruction, it is easy for a reloader to waste components, damage equipment, or even create loads that can damage their firearm. As an NRA Certified Metallic Cartridge Reloading Instructor, you will be able to teach students how to reload metallic cartridges with confidence and accuracy. In order to take this course, you must have completed the NRA Basic Metallic Cartridge Reloading student course and passed the examination with a score of 90% or better. You also have to perform pre-course assessments to demonstrate your knowledge of how to safely reload metallic cartridges. Another prerequisite is NRA Basic Instructor Training, which is part of the course unless you completed that training within the last two years. This course involves no live-fire range time. All instruction takes place inside the classroom. The instructor will go over the lessons taught in the NRA Basic Metallic Cartridge Reloading student course and cover how to teach those lessons. You will practice teaching those lessons to other students. 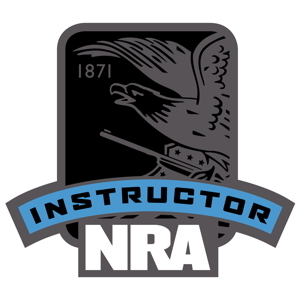 You will receive the NRA Trainer’s Guide, NRA Basic Metallic Cartridge Reloading Instructor Candidate Packet, and NRA Basic Metallic Cartridge Reloading course student packet as well as a signed certificate of completion. Every year, there are more and more firearm owners. Not every firearm owner will reload their own metallic cartridges, but the number of people who do is also increasing. The advantages of reloading are numerous but learning how to do so properly without an instructor can be extremely frustrating. As an NRA Certified Metallic Cartridge Reloading Instructor, you will have the skills and attitude necessary to ease the frustration of new reloaders. You will also have practice in teaching this knowledge and receive some materials to aid you in teaching an NRA Metallic Cartridge Reloading class yourself.